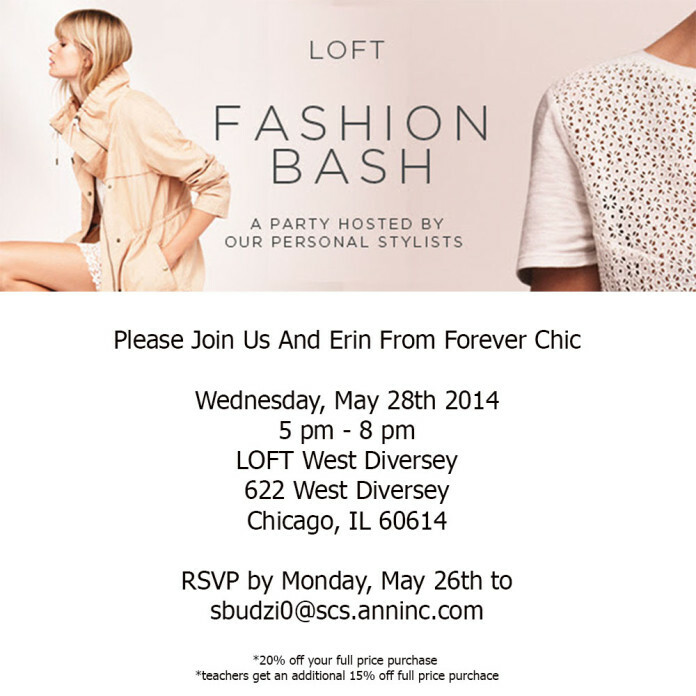 I am so excited to announce that I will be hosting my first event at one of my favorite stores, LOFT on Diversey!! It is going to be an evening of fun that includes styling, bites, and beverages!! In addition to all of that loveliness, they are also offering a discount for the evening. You will receive 20% off your full price purchase and teachers will be receiving an additional 15% off of their full price purchase (so generous)! I would love to see all of you there and hope that you are able to make it!